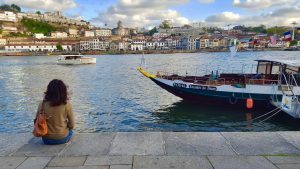 Our immediate first impression of Porto was that this is a place where we would quickly see familiar faces. We were right. Along our walk, after arriving, I was asked to take a photo of a couple. I saw them another two times as we were roaming the city hours later. We chatted as though we were old friends, and guess what? They’re fellow Canadians. Aside from them, there was a dude who made Keanu Reeves look like a bargain basement version of him, the dude; this dude, I saw a second time about an hour after the first. Like dressing for my eyes. Thanks, God! 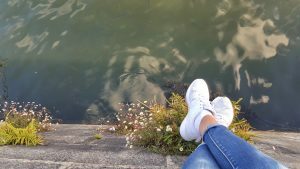 Pay enough attention and everywhere you look, you’ll see a person you just saw an hour or two ago. If you wanted to, you could play a live game of Concentration, and pin the two (or possibly more) locations of the same face on the map. Other immediate impressions? That the center of Porto, covered in souvenir shops, 30 to a city block, is built for tourists, while all actual locals avoid the area. That songstressing is a very big deal here, and that you can’t get lost. Which you in fact can’t. All streets lead to exactly where you want to go, so long as you know whether it’s general direction is ‘up’ or ‘down’. 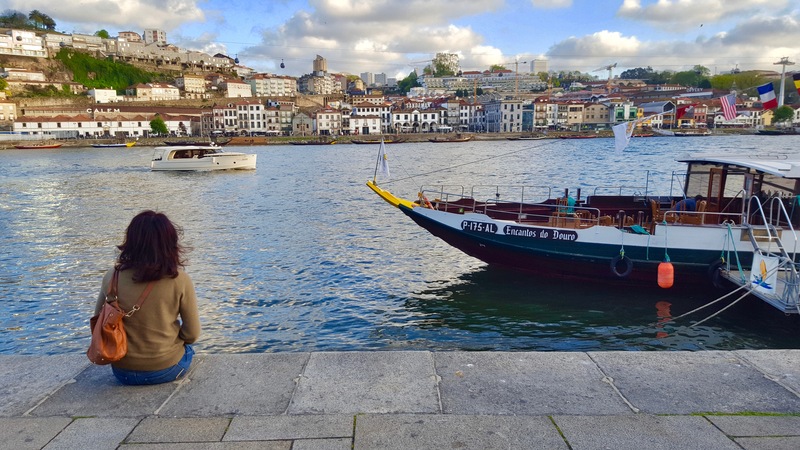 After walking the afternoon away, we decided to sit along the Douro River, and hang into the water, rather than sit at yet another restaurant / cafe. We made the absolute right choice. To our right was a small group of six girls sitting in a circle with a ukulele and singing to themselves, as though they were practicing; to our left a woman with a microphone doing a badass Norah Jones. Them aside, my favourite moment was when Azza’s super eyes (say mashAllah y’all) spotted the floating carcass of a rat with its pink tail fully intact. I personally think we should sit here nightly, because how often does one in Canada get to hang out in places like this where there is no railing, walls, or police men keeping you from getting so close? By Canadian standards, a walk along a European street is some form of Russian roulette. If you don’t hear from me again, please come SOS me from the rat river. Thanks. 1. 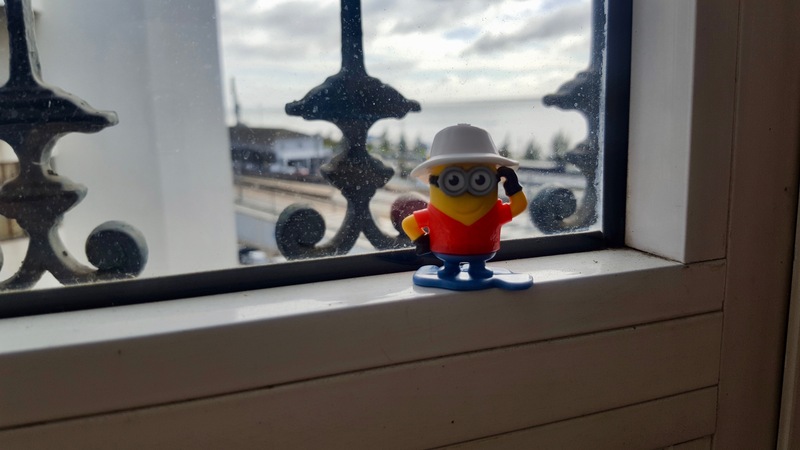 My Kinder Egg’s surprise being a traveling minion. He is so close to my truth that I’ve decided to keep him as a mascot for the rest of my sabbatical. 2. The change in Porto’s forecast. When we arrived to Lisbon nearly a week ago, the forecast was raining everyday all day in Porto. As of today, it is supposed to be sunny without a forecast of rain for our time here. 3. Sushi. I am again craving rice (my mother’s rice, in fact) so tomorrow we are eating sushi inshAllah.